The new data surpasses the previous record set in 2007, when 477,000 acres were cultivated, according to the UN drug watchdog. Total opium output is estimated at 5,500 tons, up 49 percent from 3,700 tons in 2012. At the same time, efforts to eradicate poppy fields have waned, with the total area targeted down 24 percent from last year. 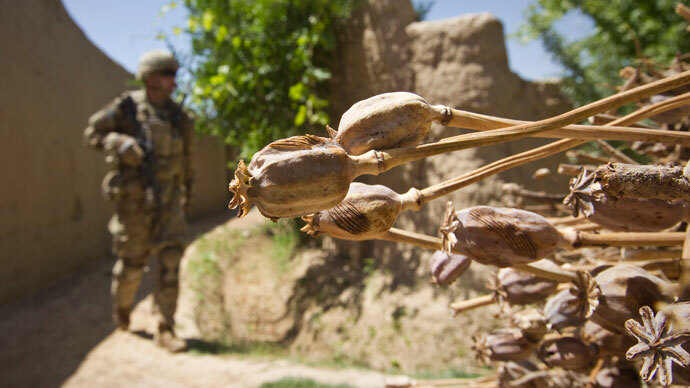 With profits from opium cultivation nearing $1 billion, or 4 percent of gross domestic product, insurgency groups like the Taliban will only benefit from the cash crop. 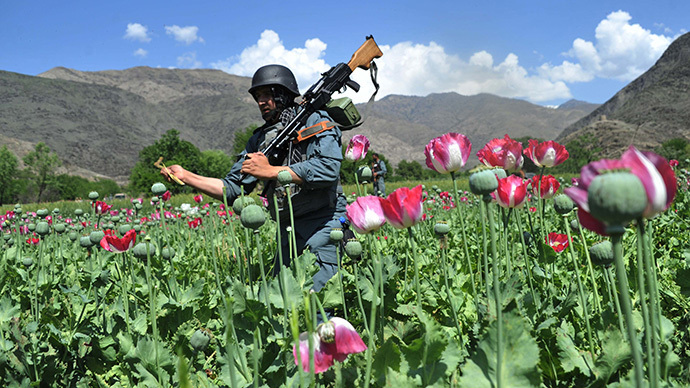 A massive inflow of cash connected to the sale of opium has helped the Taliban insurgency, which imposes a tax on poppy farmers in areas it controls, in addition to the outright participation in the selling and transferring of the crop. "The short-term prognosis is not positive," said Jean-Luc Lemahieu, as quoted by Reuters. "The illicit economy is establishing itself, and seems to be taking over in importance from the licit economy." 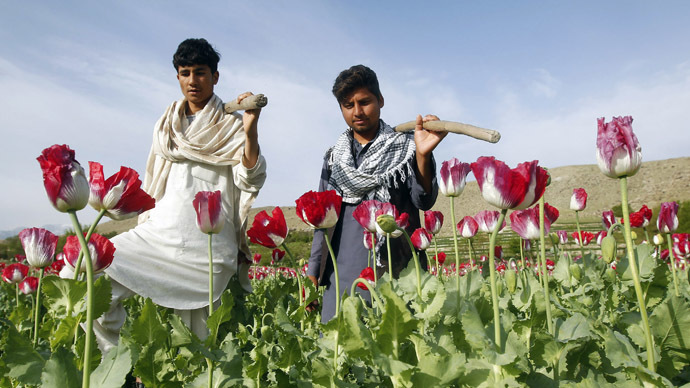 Afghan authorities, however, pointed to some successes in stemming the opium business. “Last year alone we confiscated 14 percent of the narcotics produced in Afghanistan and arrested 4,000 smugglers, including small, midrange and major smugglers,” Maj. Gen. Khalilullah Bakhtiyar, head of operations for the Afghan government’s Counter Narcotics Police, told The New York Times. 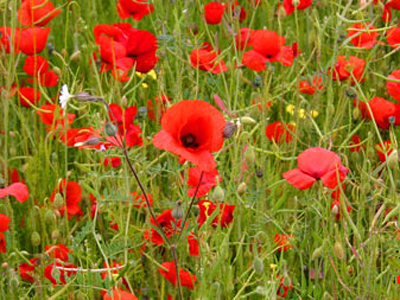 UNODC carried out its first survey of the Afghan poppy, the source of opium, in 1994. At that time, the crop covered some 175,000 acres. The territory increased to more than 247,000 acres after US-led forces removed the Taliban in 2001. Last month, UNODC chief Yuri Fedotov, a Russian national, told Reuters the opium situation presented grave threats to the future of Afghanistan. "We have a serious risk that without international support, without more meaningful assistance, this country may continue to evolve into a full-fledged narco-state," he said. This is a serious problem not only for Afghanistan, but for Europe and Russia, which have both witnessed a dramatic spike in heroin abuse since 2001. The US-led coalition has rejected any crop eradication operations by its soldiers for fear of bankrupting farmers and forcing them to join the insurgency, a policy criticized by Russia, among others.